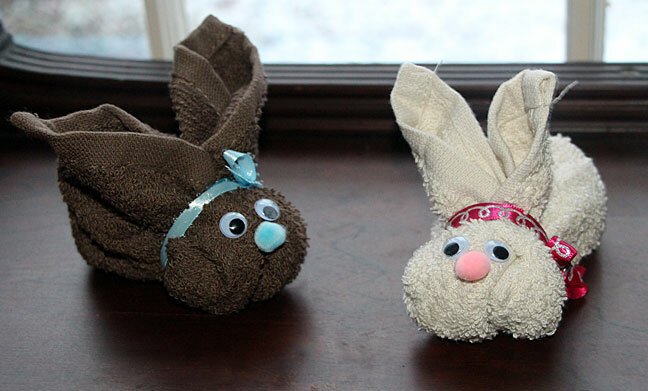 Use a washcloth to make cute bunnies and give an adorable look to your lovely home. 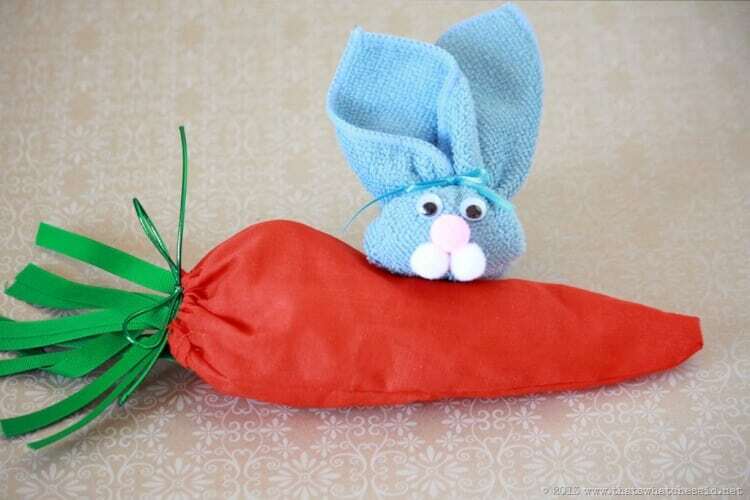 These bunnies are simple to design and make your Easter basket complete. Here we are providing you with unique ideas to enhance the charm of your home décor for upcoming festivals. You can accomplish the task in a couple of minutes. Look at the given image, isn’t it adorable? You cannot resist trying this DIY. So go ahead and design the cute buddy to adorn your home décor. This handcraft requires limited supply. Moreover, they are washable too; the eyes and fluffy nose are enough to garner everybody’s attention. 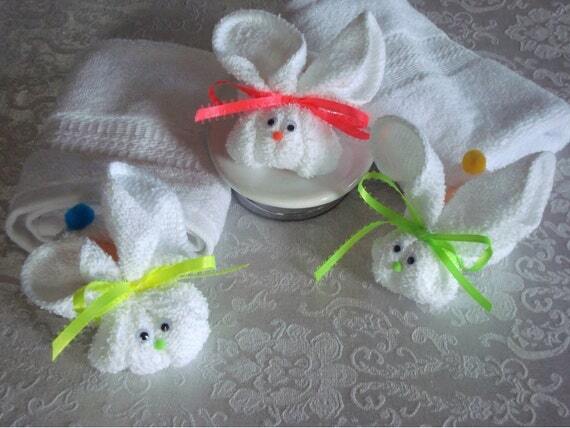 Use newly bought kitchen washcloth differently and make little adorable bunnies, they are ready to adorn your Easter basket. 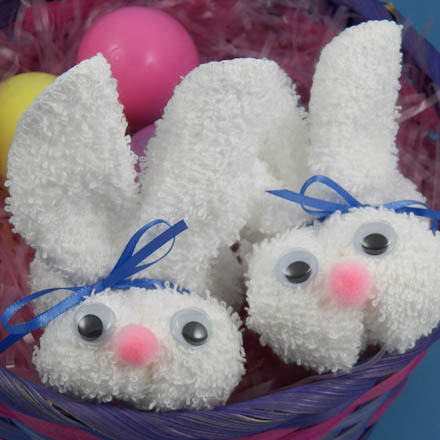 Fold and twist washcloth to give it a shape of the bunny; the use of googly eyes and pom poms for nose makes it adorable. Deck up the body of bunnies with beautiful felt flowers or plastic eggs and uplift your creativity to the next level. Enhance the grace of your Easter basket with adorable bunnies and make your guests spellbound; these handmade bunnies are simple to design, and you can make a couple of them in a limited time. If your friend is expecting, then these bunnies are the best gifting option for any baby shower. Make blue and pink bunnies, and your efforts are token of love for the little one. Make your guests spellbound with adorable bunnies; the bright color plastic eggs are alluring and enhance the beauty of home décor in every occasion. Use crevice to place ice cube and get relief by placing it over an injury; now your instant pain relieving pad is ready in no time. 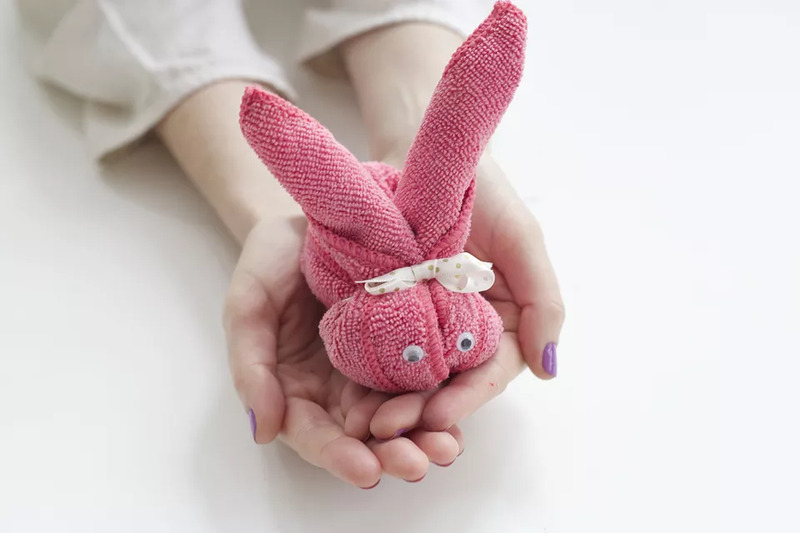 Take ample kitchen washcloths and make a couple of bunnies; assign different names to each of them, and the family of bunnies is all set to add charm to your home. Engage your kid in this fun activity and make cute bunnies of your favorite color; glue googly eyes and fluffy nose to give a complete look. These are perfect teething toys for your young ones however they should be properly sanitized; the attractive fluffy toy will be your kid’s favorite for sure. 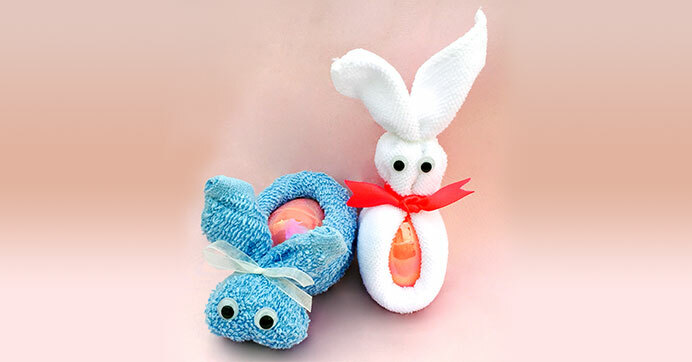 Washcloth Bunnies – How To? The cute bunnies are enough to flare up your living are; get the easy procedure in the given video.